Many sequels are unworthy, prequels rarely done right, and reboots too excessive in number. But now Hollywood has started a new trend: the spinoff. A rarity in past decades, spinoffs have come in full force over the last few years. And the reason for their exponential growth is the simple fact that several of them have worked. 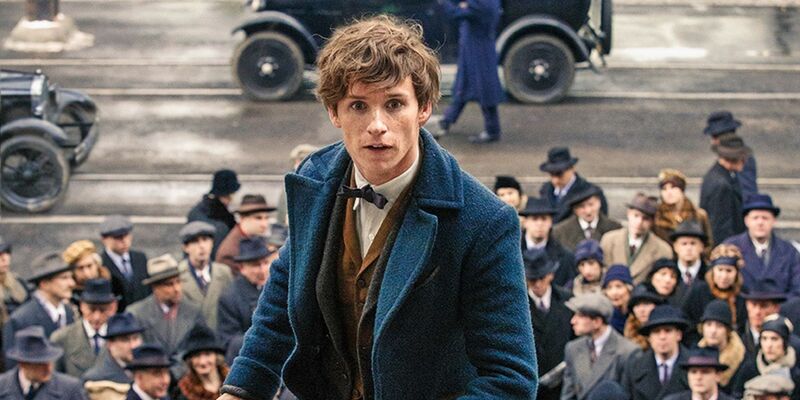 Consider the success of Deadpool, Finding Dory, and Fantastic Beasts from this year alone. It’s a way to incorporate new stories or focus on different characters, all while staying in the same franchise fans know and love. And even the most popular movie franchise of all-time is getting in on the action. With Rogue One: A Star Wars Story set to hit theaters, there’s much speculation for how these new characters will be received. This is a franchise that’s been commended for its sequels and condemned for its prequels. Whether Rogue One pans out or not for Disney, the realm of spinoffs will continue to grow. Several of these films have supplied new narratives worth expanding on, while others have helped invigorate their franchises. It was a spinoff no one really saw coming, but in a weird way it made complete sense. The connection between Jonah Hill and Russell Brand’s characters in Forgetting Sarah Marshall was constantly awkward, as Hill’s waiter idolized the fictional rock legend Aldous Snow (Brand). Though Hill’s role changed to Aaron Green for the spinoff, Get Him to the Greek, the contrasting personas still create a strange and amusing chemistry between the two. The film brought back Snow as coked out and brutally honest as he was in Sarah Marshall, which is basically Brand playing Brand. Most movie fans are on one side of the fence or the other with this film primarily because of him. But if there’s a strong suit he has, it’s a raunchy comedy. Set right into his wheelhouse, Brand gives a sometimes dark, often hilarious performance. It’s excessive, but the comedic timing is well-placed and executed upon. Credit much of that to the script written by Nicholas Stoller (Neighbors), a screenplay Brand could easily tee off of. The movie goes down some gloomy paths it should never turn to, but those moments and the few uninteresting ones succumb to bouts of hilarity. And that gives this movie a pass, even if it is noticeably patchy. It may not be Forgetting Sarah Marshall, but when it comes to laughs, it hits a high enough mark. It wasn’t anything in comparison to the original Bourne trilogy, but cinema fans had frankly been spoiled by those movies. The Bourne Legacy gave us a new perspective, one caused by the fallout of Treadstone in the Bourne trilogy. Even without Matt Damon, Jeremy Renner fills in well in the heavy-action role. Having someone like Renner to deliver realistic fight scenes and an imposing presence as Aaron Cross was an accurate casting. There aren’t as many moments that stick out in Legacy, but it still displays plenty of heart-pounding acts that compare to films before it. The connection along the way between Renner and Rachel Weisz’s characters enables this film to have some much-needed sentiment. The pace isn’t as smooth and rapid with Tony Gilroy directing, as opposed to Paul Greengrass, and that’s vital to Bourne films. Another big portion of the trilogy is built around the uncovering of information by the lead, primarily to discover who he is and what happened to him. There’s no such discoveries to be had in this movie, so that added anticipation and payoff is hard to find. But what it does have is the qualities of re-watchable, on-the-run action film, one that dashes in a fair serving of suspense at every corner. This is another peculiar spinoff, seeing as it came from a faux trailer inside of another movie. 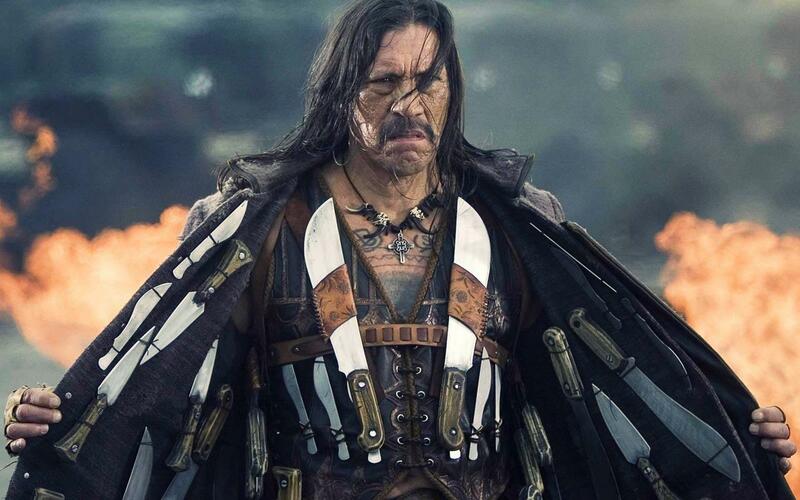 But that’s not the only thing that makes Machete a crazy side story. Another would be the fact that its fake trailer promised something so over-the-top and chaotic that it seemed no movie could deliver such insanity. But Machete did just that, and it actually worked. By no means is it a masterpiece in exploitation films, a component which should’ve been left out altogether. What Machete does do well is deliver bloodshed at a premium. And with Danny Trejo driving this vehicle, what else would you expect. His believability as the badass is never in question, a rough but easily appealing character with serious beef. The political messages aside, his story is a good old fashioned revenge plot, one that’s worth watching if the sight of epic gore doesn’t make you queasy. Robert Rodriguez’s spinoff from Planet Terror gives us exactly what was literally advertised in it. The main character is to be taken seriously and rooted for. The story itself, however, is not meant to be taken that way at all. Between the Tarantino-esque style by Rodriguez and the scene-stealing moments several members of the cast receive, Machete at least can crush low expectations. If only they would’ve stopped themselves from making a sequel. After the dreadful start the Wolverine trilogy got with X-Men Origins, the franchise had to find a new direction. Luckily, one of the many ways it went was up. 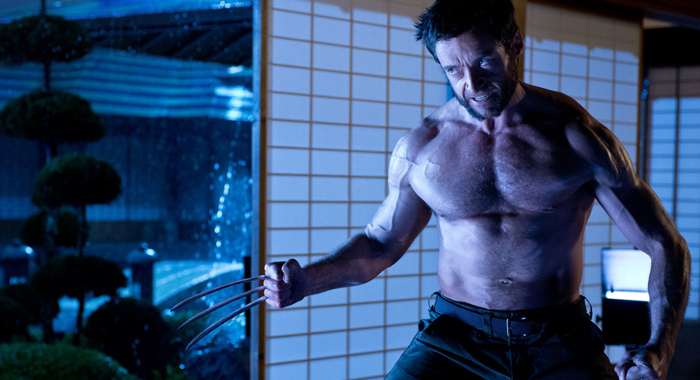 Not only did The Wolverine deliver the X-Men spinoff the character deserved, but gave it an entirely new look and feel. The Japanese culture, its beautiful scenery, and well-placed sets brought a fresh appeal after the constantly changing locations of the previous movie. And Hugh Jackman running the show is as endearing as ever in a film that dives into more of his internal struggle. He’s not as quippy as in most of the X-Men films, but is equally as a gruff. The Wolverine also heightens its entertainment value, the front-half of the movie producing action that’s imitable and all its own. In a time when many of the superhero genre fights could be copy and pasted into a sequel without noticing, this was an element that stuck out. Though Origins almost succeeded in running Wolverine and Deadpool simultaneously into the ground, The Wolverine at least put the former back on track for its upcoming final installment. Its final act does drop the movie a couple spots on this list, as its undercooked and a bit dull. The final scenes seem like a build-up to a boss fight on your favorite video game console. But for any points lost from that, The Wolverine gains them back and then some with legitimate suspense in the earlier scenes and a true loyalty to the comics. Finding Dory could’ve been a simple cash-grab for Disney and Pixar. After all, Minions done it just a year before and broke $1B at the box office despite being a disjointed mess. But Pixar pulled through with another thoughtful family film to add to their extensive list. Sure, Dory is the biggest giant to this point at the 2016 box office, but after 13 years of waiting for another installment, Pixar didn’t slack off in sending a heartfelt message. Whether that message was to do with family or handling disabilities, Finding Dory found direction with one of Pixar’s most memorable characters. It’s hard to remember this was technically a spinoff, not just a sequel, because Dory was so significant in Finding Nemo. 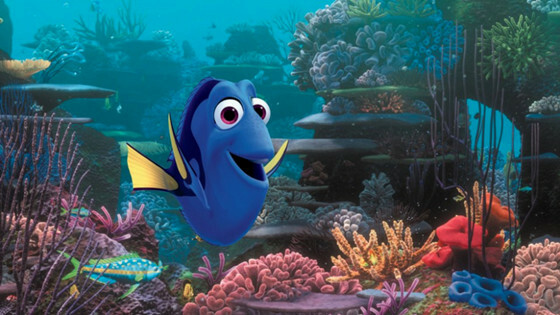 As adventurous as ever, Dory sets off to find her parents in a story noticeably similar to the one in Finding Nemo. But the relationship with her parents makes the excursion through the ocean seem renewed. It pays homage to some memorable characters from Finding Nemo, but for the most part spends its efforts creating new ones equally compelling and hysterical. Just as Crush the sea turtle and Bruce the shark are unforgettable from the first film, so are the sea lions and Hank the octopus from this installment. Hitting on humor, character creation, and high-speed thrills, Finding Dory thrives on its own. Even when you have fishes jumping from tank-to-tank and an octopus driving a truck, there’s enough emotional weight to keep it grounded.